Is Today’s Israel Still Chosen by God? Q. Hi. I stumbled upon your site today and have read many of the answers that have been posted to questions pertaining to the end-times and Israel and related topics. I have to say your biblical knowledge is astounding and makes me feel guilty for not studying more. But one thing that has been bothering me as I read your responses was about Israel. I feel that many Christians today do not realize how much today's physical Israel has strayed from even barely resembling any past remnant of God's Chosen People of Israel. I feel this is a huge deception that thousands if not millions of Christians have fallen for, and I would like to present some ideas that you should at least consider. And you will have to forgive my tone here. I tend to come across a little bitter, but the Lord is working on me. Firstly, I want to address the usage of the phrase "Anti-Semitism." "Anti-Semitism," as the mainstream view goes, means a "hatred of Jews." Ever since the rise of Nazi Germany and the Holocaust, the phrase Anti-Semitism has been manipulated into a tool and a weapon, which I have personally witnessed used as an easy way of saying, "You don't agree with me because I'm Jewish! You must be an Anti-Semite!" which would then make me racist apparently and as a result cause all sorts of people to assume I was some Nazi low life with no sense of "tolerance and respect for persecuted peoples." Ironically, calling someone an Anti-Semite is like saying they hate all Semitic peoples. Did you know that a majority of the people who live in the Middle East are considered Semitic people? This includes not only ethnic Jews, but countless ethnic groups of Arabs as well. Just a tidbit of information you might want to chew on. Secondly, there is the issue I have with your statements about Israel still being "God's Chosen People," that for some reason the Church has not replaced Israel, but that they are two separate entities. This poses a problem for me spiritually, and I believe for the Body of Christ as a whole. Considering Israel as God's chosen people after the birth, life, death, and resurrection of Jesus Christ makes the New Covenant between Jesus Christ and His Church seem like a secondary issue, as if Israel is more important than true followers of Christ. Although there aren't a lot of things in this world that can be considered "black and white," I feel this issue is. One is either a born-again member of the Body of Christ and part of the Church, or one is not. There can be no middle ground. Which means Israel cannot possibly be God's chosen people anymore. Here are a few Biblical examples of why I believe Israel is no longer God's "chosen people" (Mat. 3:1-12; Acts 10:34-35; Rev. 2:8-9; 3:7-9). Regarding Israel's treatment of their neighbors: as a God-fearing, Bible-believing Christian, I have not found it within myself to be able to say that I can support Israel, or at least not the physical nation of Israel. Perhaps it is my rebellious streak. Perhaps it is something deeper, like my conscience. I'll just be frank: the nation and government of Israel treats its Palestinian neighbors like cattle. They run the Palestinian people off their land and take their homes so that Israelis may move into them. The Gaza strip is another set of horror stories which I would rather not go into great detail about, but Israel's current treatment of the Palestinian people today is very closely reminiscent to Nazi Germany's treatment of Jews in the 40's. Clearly Israel has not learned how to (or perhaps is hard-headedly refusing to) "love thy neighbor as thyself," to quote the wonderful words of our Savior. How can a Christian still believe that God has still claimed the Nation of Israel as His "chosen people"? It makes no Biblical sense. I hope you will consider what I have said here, and pray about it earnestly, with an open heart. Maybe the Lord has something He wants to reveal to you. 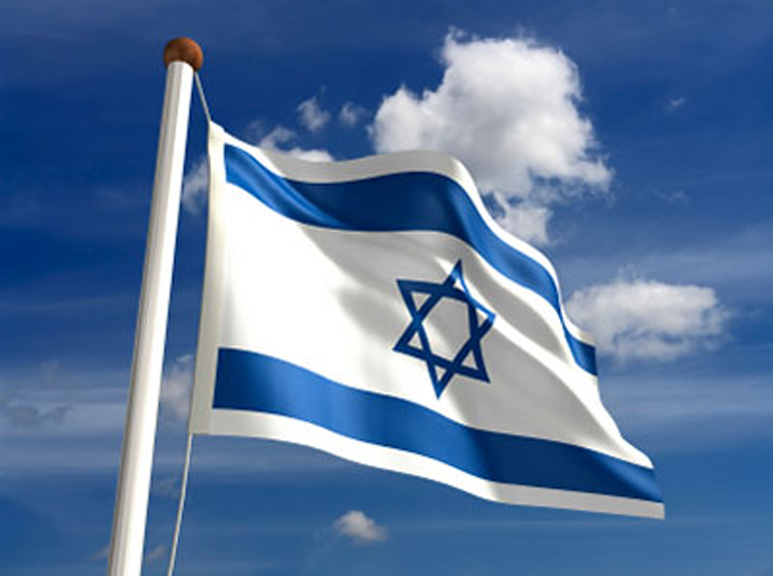 Is Israel Still God's Chosen Nation? A. Thanks for taking the time to write to me and express your views concerning 'physical Israel' (as you put it) and suggesting that I consider the plausibility that Israel is no longer considered 'chosen' by God. There are several reasons why I cannot endorse such a view. A careful reading of both testaments shows that God's grace will surpass the disobedience of Israel such that He will turn the nation back to himself. Hence the many restoration passages which teach just this—that Israel's rejection is neither total nor continuing (e.g., Deut. 30:1-6; Eze. 31:31-37; 36:16-37:14; Amos 9:11-15; Mat 23:39; Luke 21:24; Rom. 11:11,25-32). Paul, writing under the inspiration of the Holy Spirit, tells us that unbelieving Jews—those who were his most serious opposition, who are enemies concerning the gospel are nevertheless still 'elect' (chosen by God) and are to be beloved by Scripturally-informed Christians for the sake of the fathers, the promises made to Abraham, Isaac, and Jacob which form the root of the olive tree and by which Gentile wild olive branches find our salvation. How can this be? Paul explains that the gifts and calling (of Israel) by God are irrevocable. Even in unbelief, Israel as a nation remains elect—chosen and called by God for His purposes in history. Notice too that this national election differs from individual election (Rom. 11:7) which is the sole means by which any person, regardless of ethnicity is saved. Regarding use of the term anti-Semitism, as most recognize, the current meaning of the term does not relate strictly to its etymology: “1. Hostility toward or prejudice against Jews or Judaism. 2. Discrimination against Jews.”  ; “(1882) : hostility toward or discrimination against Jews as a religious, ethnic, or racial group.”  This is akin to the use of the term 'Jew' to denote any descendant of Jacob and not just those descending from Judah. Thus, one should not infer that because the term includes the root word for Semite that in modern usage it takes in all the descendants of Shem. I do not dispute the numerous passages you cite which indicate judgment of the Jews due to their rejection of their own Messiah—you will see this if you choose to access my Revelation Course or companion commentary on Revelation 2:9 and 3:9. However, when the entire revelation of God is taken into account, the Scriptures clearly predict the eventual restoration of Paul's 'countrymen according to the flesh who are Israelites'—no less Israelites today in their opposition to God as when Paul penned Romans 9-11. Yet not the 'Israel of God'—those believing Jews of the Church age who are joined with believing Gentiles as 'one new man' (Eph. 2:15)—the body of Christ in which Jew and Gentile, male and female, are one in Christ in regard to salvation yet without jettisoning ethnic or sexual distinctions (Gal. 3:28 cf. Eph. 5:22-28). Upholding the Scriptural teaching of the continued election of unbelieving Israel in the plan of God in no way divides the unity of the body of Christ which is composed only of believers, regardless of ethnicity. The body of Christ reflects individual election which differs from the national election of Israel—a point which Paul is careful to distinguish (compare Romans 11:7,28). Regarding Israel’s treatment of her neighbors, history shows it to be much more humane, on the whole, than the reverse. Ask yourself this question: which of her surrounding nations support any form of democratic process in which Jews in that country may vote or hold political office? Which of her surrounding neighbors applauds her right to exist as a nation? Which of her surrounding neighbors has Israel refused to recognize? Even so, we readily admit that Israel is far from perfect, being made up of fallen men like every other nation. I would also encourage you to undertake a careful study in the Old Testament concerning God’s treatment of those who opposed Abraham, Isaac, and Jacob even during situations when these men behaved in ungodly ways (e.g., Gen. 12:11-20; 20:2-7). You will soon encounter the initially disturbing reality that the reliability of God’s promises does not hinge upon the character of the recipient: God continues to bless Abraham and his descendants (the line of promise) even in times when they manipulate, lie, and otherwise seemingly thwart what God seeks to accomplish through them. As you grow in your knowledge of the Scriptures and your own foibles, you will no doubt come to see this Scriptural reality as a great blessing because you will eventually realize that His promises to you are no different—in the same way that you repeatedly fail Him, He still stands by what He has said and accomplishes His purposes in you (and me). This is how we need to see today’s (mostly) unbelieving Israel in the plan of God. God’s grace will outlast Israel’s present disobedience in that He will eventually turn them to Himself (Rom. 11:26-27). As when Paul wrote, the majority in Israel continue to reject Messiah Jesus. Yet during this period in history, we as Christians are to love these Christ-rejectors on account of the Abrahamic covenant and the promises which flow from it—which are the basis of the New Covenant by which we ourselves are saved. It is simply inconsistent for us to smugly insist upon the certainty of our salvation based on the New Covenant while simultaneously holding to the idea that Israel has stumbled so severely as to fall in the plan of God (Rom. 11:11). The same grace which extended toward us while we were yet enemies of God (Rom. 5:10) will also uphold Israel which is now largely in unbelief and an enemy of the gospel (Rom. 11:15)! Of course this is a large topic which cannot be adequately addressed in such a short exchange. For a more in-depth treatment of these issues, consider my free online teaching covering Romans 9-11. I can also recommend a recently published book which has much to say on this entire topic: Future Israel by Barry Horner.